To get their aviators back to work—and avoid mass cancellations—American is offering time-and-a-half pay to pilots who pick up certain flights. In a statement, it said it has reserve pilots to cover the uptick in flying time during December, and it’s working with the pilot’s union to smooth everything out. Representatives for the Allied Pilots Association, which represents nearly 60,000 pilots in the US and Canada, say the airline should have consulted them over the extra pay. But with weeks left before peak travel times, it’s hard to imagine they won’t find an acceptable solution. Still, the tussle highlights just how complicated the process of getting an airplane into the air is—and how easy it is for something to go wrong. Airlines operate control centers you could mistake for a NASA setup, with thousands of computers running hundreds of software systems to book and monitor everything that goes into a successful flight: planes, ground crew, meals, fuel, de-icing equipment, baggage handlers, cleaners, airport gates, and so on. It doesn’t take much to derail the whole system. “These are really complicated systems, they’re huge, and testing them for every potential interaction is almost impossible,” says Bill Curtis, the chief scientist at CAST, which finds software flaws for large corporations. He’s also the executive director of the Consortium for IT Software Quality, which works to design better software standards. 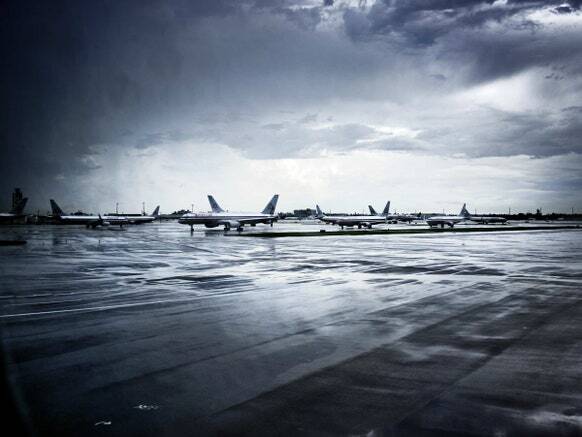 Much of the time, airlines can deftly cope when bad weather grounds planes, leaving crews in the wrong location, or when someone’s luggage misses a connection. But a glitch in software that affects planes, pilots, or passengers en masse is a lot harder to handle. And it’s far from the first time a computer problem has grounded planes. In September, a check-in system failure at several European airports had world-wide ramifications. In May, British Airways had to deal with a server being unplugged, halting 75,000 passengers. In August of last year, an IT outage took down all of Delta.